Daitoryo is a Kyoto cuisine restaurant that boasts a rich history of over 70 years, located in one of the many narrow cobblestone alleyways of Ponto-cho beside the Kamo River. Residing in a renovated 140 year-old Japanese house filled with the authentic feel of Kyoto, Daitoryo serves the ever-popular yuba (tofu skin) kaiseki course (6,480 yen) all throughout the year, as well as the seasonal delicacy hamo (conger pike) kaiseki course (10,800 yen) during the summer. The hamo served in the courses is that from fish strictly selected for its thick meat, rich fat and amazingly soft texture. It is served in a variety of delicious dishes, such as yolk sauce grilled hamo, hamo tempura, simmered hamo with Kyoto vegetables, and vinegared hamo skin. 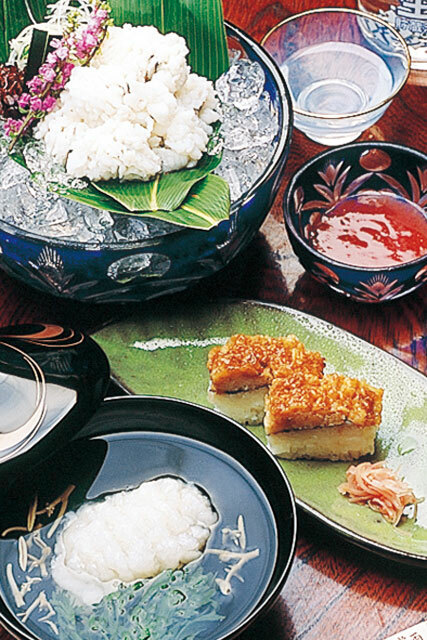 The exceptionally thick hamo sushi is also an extremely popular dish. A special seasonal Omakase kaiseki course (8,460 yen) is also available to be ordered and the Yuba-zen set meal (3,900 yen) is served during the day. 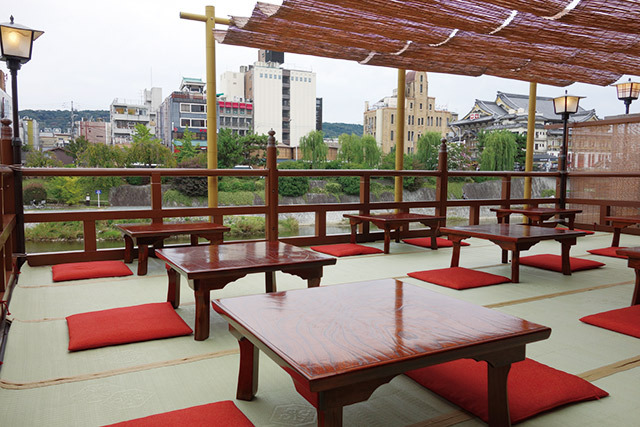 ※ Day-time Yuka seating only available in May and September. Bringing out the best taste by grilling top quality meat cooked on amphibolite stone.